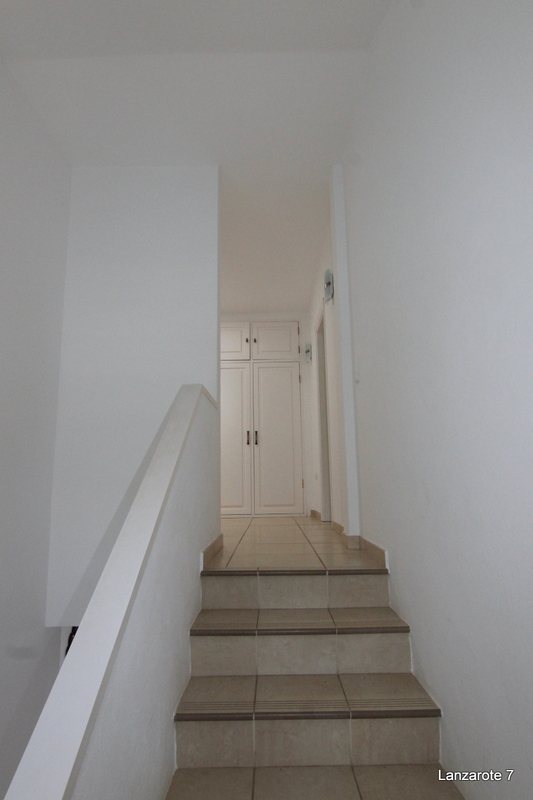 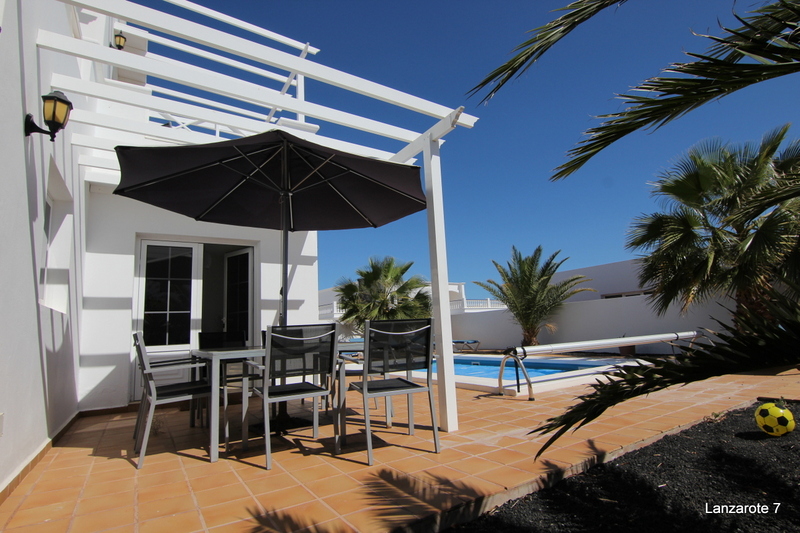 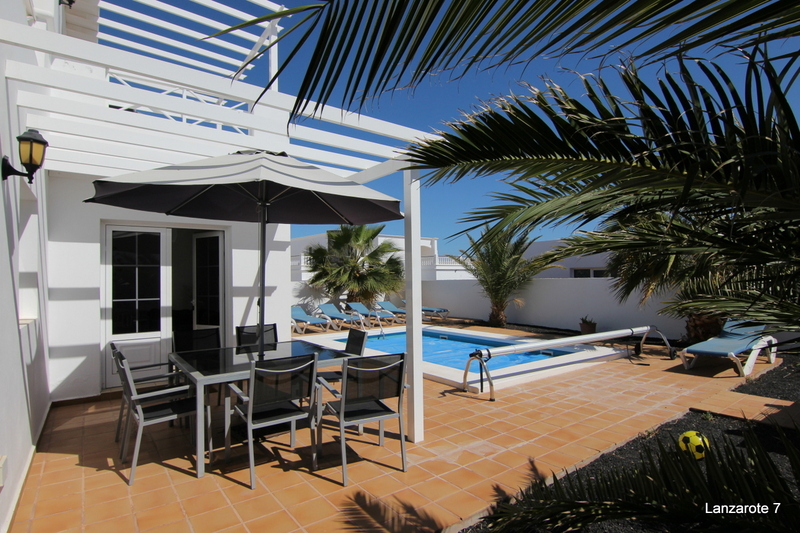 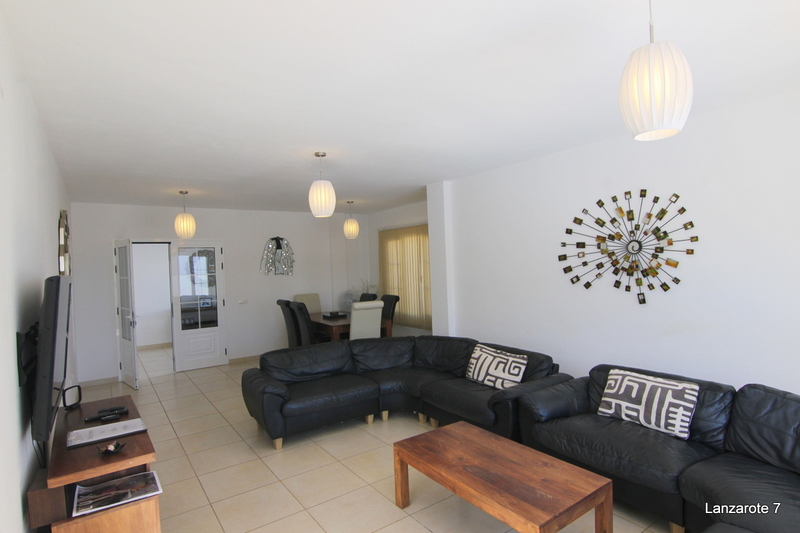 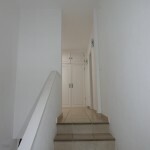 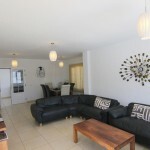 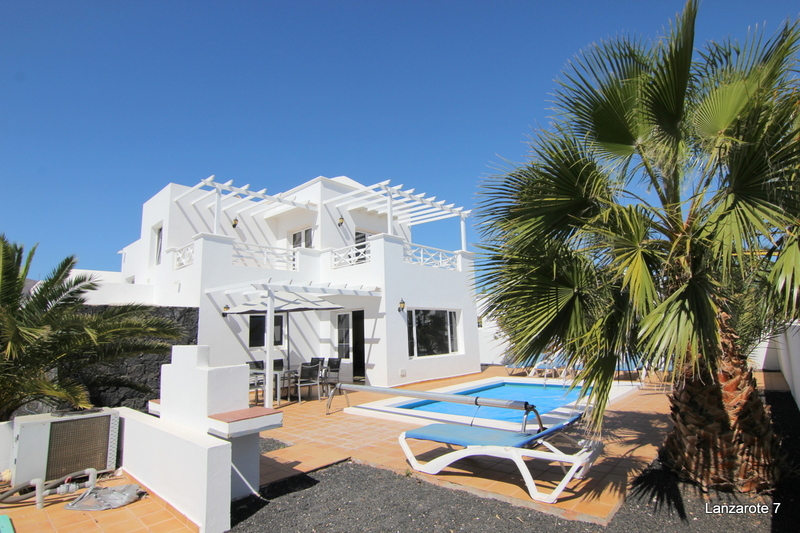 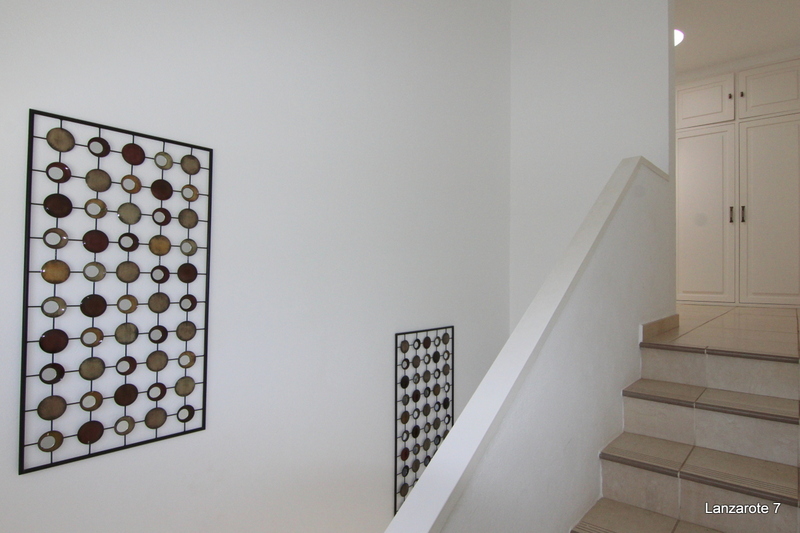 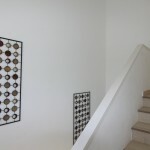 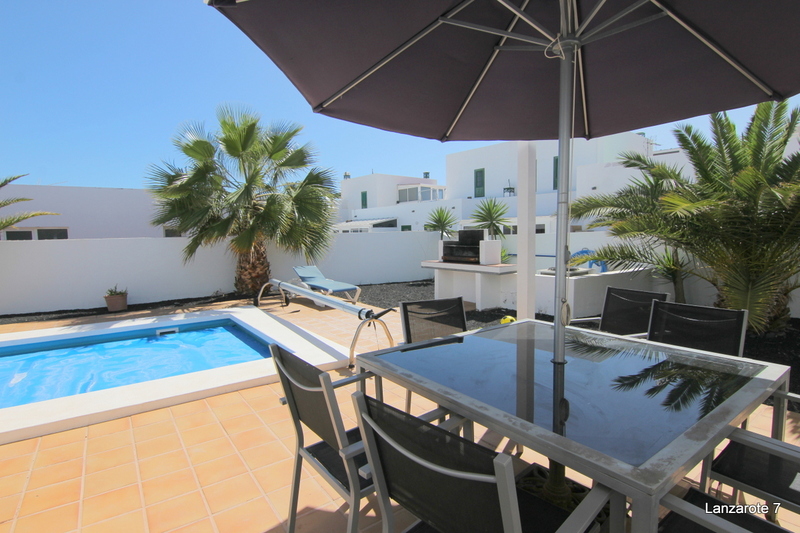 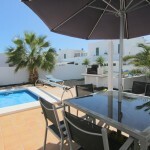 This spacious 2 story villa is situated in one of the best areas of Lanzarote Puerto Calero . The spacious 2 storey villa is sunflutted and offers entrance hall – great bright lounge with french doors to the pool area and terrace area . 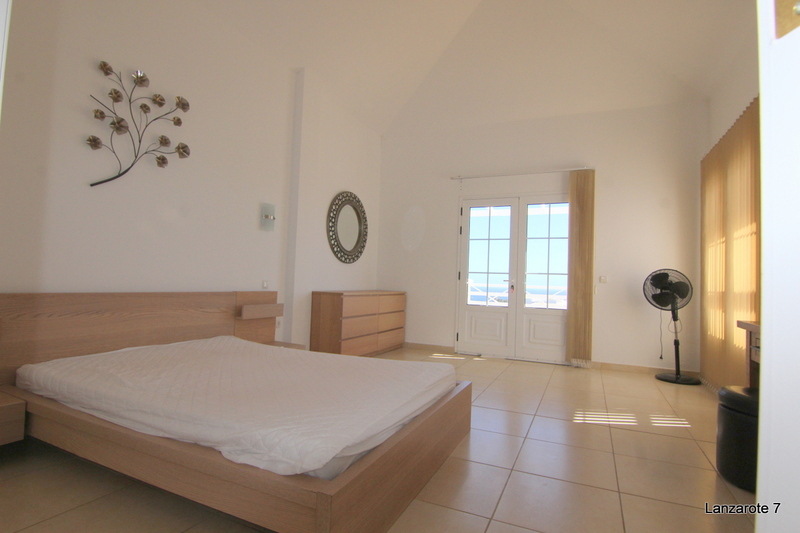 Very big kitchen , storeroom , 3 bedrooms and 2 bathrooms on ground floor – all of them have a great size and upstairs fantastic master bedroom with terraxe great sea views , spacious bathroom and dressroom . 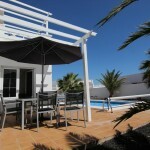 The villa offer sgreat outdoor area like terrace , sunbath terrace , heated pool ,BBQ , carport . 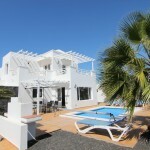 The bright villa is fully furnished and equipped and ready to move in .